Egypt’s Muslim and Christian leaders have met in Cairo, calling on Egyptians to unite in order to ease religious tensions that have spilled over into deadly violence on the streets. A number of people have been killed and two Christian churches burnt down since the religious clashes began, reportedly started because of an interfaith marriage. Christians say they are not being protected by the interim government put in place following the revolution that deposed President Hosni Mubarak. 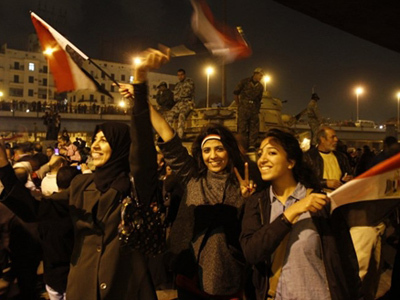 The post-dictatorship day-to-day realities of Egypt have brought little satisfaction to Egyptians. 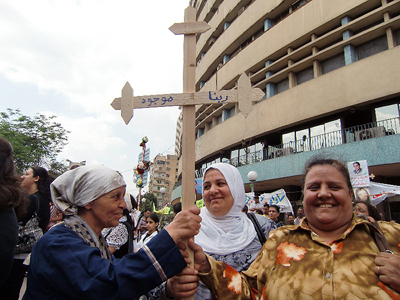 Previously unified on Tahrir Square through a common enemy, President Mubarak’s resignation saw Egyptian Muslims and Christians turn on each other. “We want justice, we want equal rights – in institutions, in businesses, police and army and politics,” demand Coptic Christian protesters. For centuries, the Coptic Christian minority has felt discriminated in a country dominated by 80 million Muslims. The revolutionary euphoria has brought a desire for change. “People have tasted freedom – and they like it. 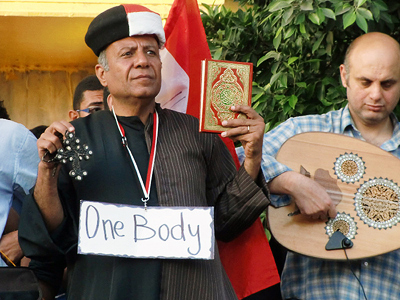 Now we are kind of fed up of this situation,” shares Coptic priest Father Matias. But it has opened a Pandora’s Box. Tensions in the past month have left dozens killed, scores injured and several churches burned. “We know Mubarak was a dictator, maybe he was corrupt. But at least we’ve been able to sleep. And our children were alive. We never saw that before,” says a Muslim woman whose family had been welcoming “liberation” until her 24-year-old son was killed in the street by a brick thrown during interfaith clashes in Imbaba, Cairo’s poorest district, a northern flashpoint as years of simmering religious tension boil over. “We couldn’t have even imagined something like this happening. Yes, from this point of view I miss the old regime,” she says. On the other hand, others glorify the January revolution. Among them is the Muslim Brotherhood. 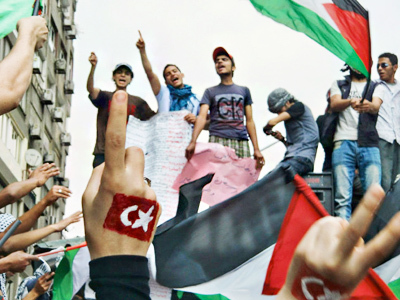 Banned under Mubarak, today it is the country’s only well-organized political group. When the president left, they moved from jail cells to a building in Central Cairo. The revolution has given them a long-awaited voice. “Radicals are triggering the tensions. They saw how the revolution united people and they want to ruin that. They don’t want to see Egypt strong and independent. But I am sure they will all disappear after the parliamentary election this September,” Waleed Shalaby of the Muslim Brotherhood, maintains. 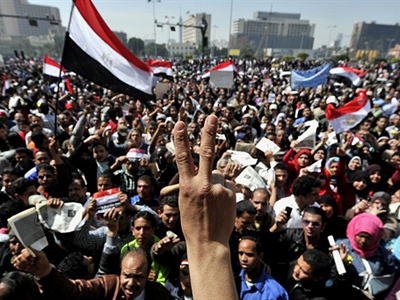 What is not clear is whether or not Egypt will be able to confront the challenges for so long. Cairo’s poorest district Imbaba is home to millions of people surviving on just a couple of dollars per day. 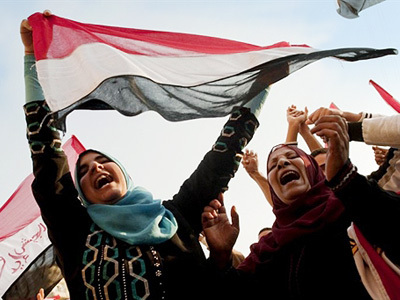 Following the Tahrir Revolution, Egypt’s political immune system has been weakened dramatically, its economy is in a critical condition and the army is ruling the country. When this happens, the symptoms strike the most vulnerable first. 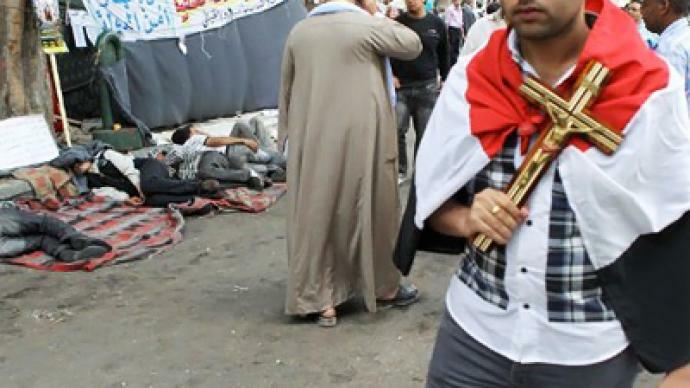 Questions remain as to just how far the damage might spread and if Egypt can ever recover. ­Professor Mark Almond, a historian at the Oxford University, says that the reason why Mubarak was unpopular was not just his own personality, but also huge problems in the economy, high unemployment rates, a rapidly-growing population and religious issues. But taking away Mubarak alone has not solved those problems, Almond points out. Almond thinks that the caretaker government – the generals and their appointed ministers – do not really possess the strategic vision of where they want to go. It results in local disorders. Almond fears that the upcoming elections in September might not settle the political crisis in Egypt.